When your world starts falling apart from all directions, it is an indication that you are about to get a divorce. You should be aware about the financial ramifications that might be coming towards you, so be prepared for the worst to happen. Hiring an experienced lawyer with a good reputation is just a segment of what you will be required to pay. Another thing to worry is the alimony which varies from state to state. In Texas, this amount can be $ 5000 or more for each month. There are also some other states in which a person is required to pay alimony for all life if the marriage had lasted for more than 20 years. You have no idea about what can be stake at the time of filing for a divorce. If you wish to save yourself from these financial bombs, here are the 10 most useful tips that can be used. 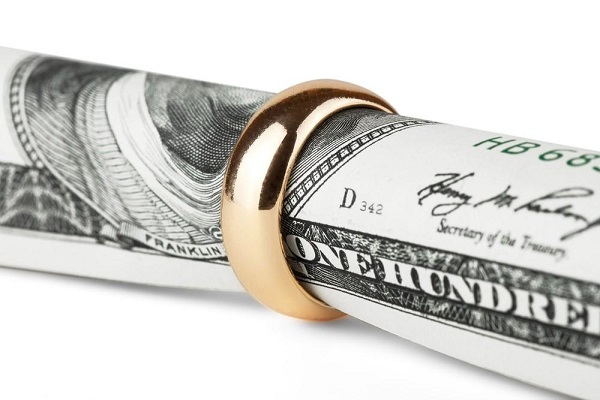 You should always prefer to have some money stashed away for your divorce. But if your spouse has complete control over your earnings, you might not be able to save this money. It might seem odd to most of you, but there are a number of strategies through which you will be able to save your relation. Try to talk to her and let her know about the importance of this relation. Trust me that you never know that your next marriage will be a success. For this reason, it is best that you stay happy with what you have. Having your complete financial and personal information organized will be a life saver for you. You should offer this information to your lawyer at the very instance he or she asks for it. In short, you should have a complete awareness about your assets including: stock options, insurance fees etc. Your financial future will surely depend upon your credit rating. If you feel that your spouse will try to go on a costly shopping spree before filing for divorce, it is best that you get your credit cards and everything else blocked before he or she can do you any long term damage. When entering into the proceedings of the divorce, always prefer to opt for new accounts in new banks. Never choose the bank in which you already have a joint account. It is also important to always have a credit card to your name. During this harsh time, it is also important to make some updates in your documents. Naming primary as well as secondary beneficiaries is just a part of the process. It is recommended that you make some necessary changes in all your documents before things get out of hand. From the very start, store your documents and all other information in your private post office box. Using this box, you will always be able to receive a confidential mail. Hiring private investigators can help you in finding some important information about your spouse. Using the services of these professionals you might be able to get evidence on adultery. It should be noted that alimony will be reduced due to these aggravated circumstances. Always have some educational funds for your children whether you are legally bound or not. You can place these funds inside some trust account to make sure that they are available when required. Try to settle the matter of out of court as it is the cheapest measure available in this regard. Out of court settlements ensure lesser humiliation and lower financial costs for both sides.